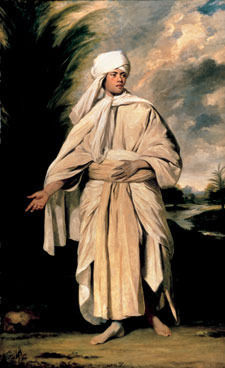 Joshua Reynolds was born to the Reverend Samuel Reynolds and his wife Theophila in 1723. He was the seventh child of the eleven children born to the couple, but unfortunately five of his siblings had died in infancy. Samuel Reynolds was also a school master and his children were all educated at his school, receiving a strict, formal education. Samuel was believed to have taught his son the classics, but Joshua never showed any enthusiasm for it himself, and was only really motivated by it when he completed his education in Italy. His father had intended for Joshua to become a doctor. Nevertheless Reynold's father had noted his son's talents and was fond of the arts as well. In fact Reynolds' older sisters were also keen sketchers and he would often copy several of their works. In 1732, Joshua had come across the readings of the 'Jesuit's Perspective' pertaining to the rules of drawings. He decided to take in their readings and approach, and he practiced it by drawing his father's grammar school building. Showing his father his sketches and drawings of the building, Joshua was encouraged by his reactions and began drawing and sketching numerous family members and acquaintances. Reynolds then came into the readings of 'Richardson's Theory of Painting,' where he learned the vigor of painting and the teachings of Raphael and the Great Masters. 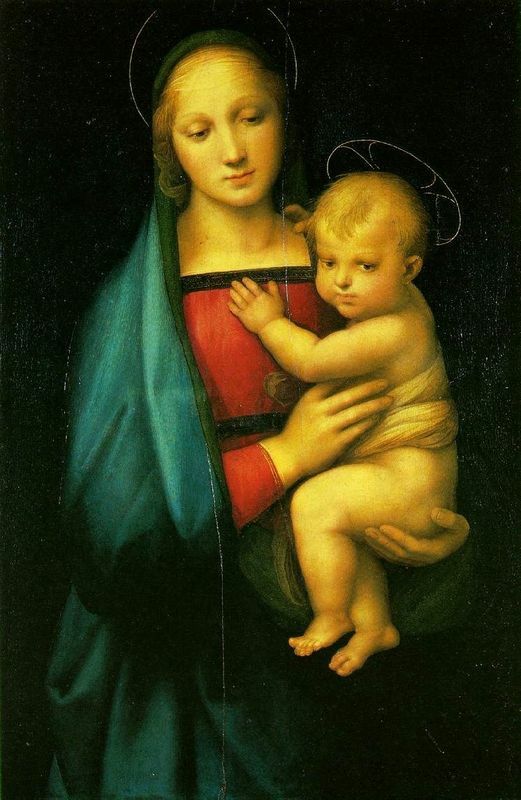 It was through this text that Reynolds' passion for painting was ignited and his admiration for Raphael in particular was to become one of his biggest influences. Aged 17 Reynolds was sent to London by his father to further his education. Before he left a neighbor suggested he undertake an apprenticeship with one of England's greatest portrait painters, Thomas Hudson. A letter was sent to Mr. Hudson requesting that the young Reynolds come under his instruction and he agreed. In fact, Hudson was in search of a new apprentice following the death of his apprentice Van Haaken. Reynolds' training from Hudson began with his instruction to copy the work of Guercino instead of copying and practicing the Classics. Reynolds completed his tasks with perfection and greatly impressed Hudson very much when he independently decided to do a full portrait of one of the maidservants of his house. In 1746, Reynolds and his two younger sisters moved into a house together. It was a three-story house, and Reynolds used the third floor as his studio. He was receiving numerous commissions for portraits at this time and completed his first royal portrait. On Christmas day that year his father passed away. He later gained the patronage of the Edgecombe family who had introduced him to a navy general, Augustus Keppel. 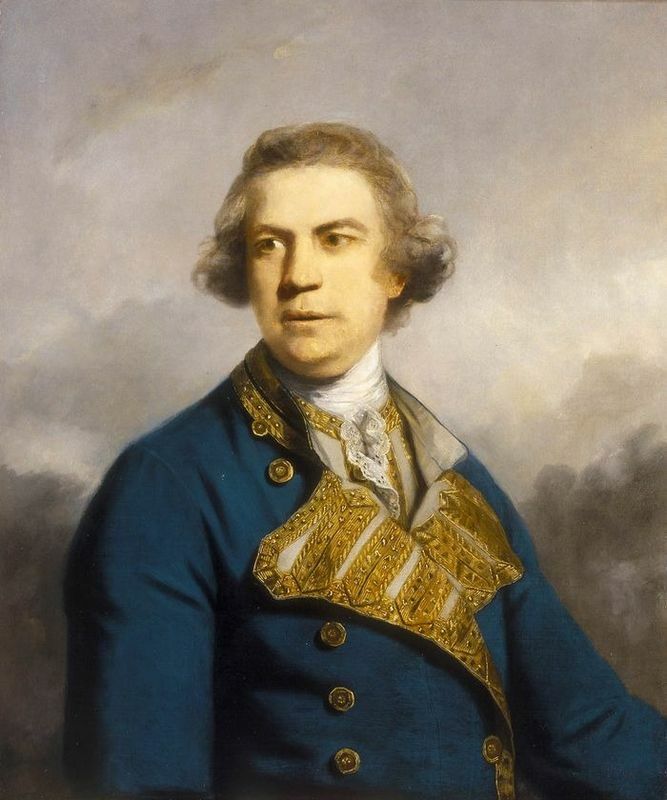 Keppel was on his way to the warfront on the Mediterranean at Naples, and Reynolds decided to come along. On the 11 May 1749, Joshua Reynolds sailed to Italy. On his way, he stayed on the island of Minorca off the coast of Spain until the ship was ready to take off to the shores of Italy. While there he painted the portraits of the many crew members and sailors. His stay was extended longer than he had planned because he was in an accident while riding on a horse and was confined to his room. After two months of recovery at Minorca, Reynold's set off to Rome. 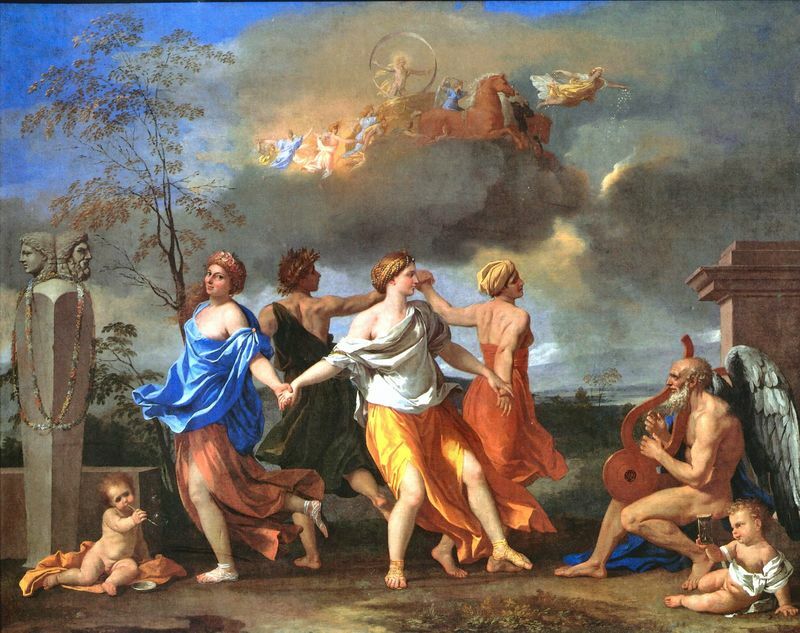 There he was exposed to the works and schools of the great masters and would ardently sketch and copy the likes of Michelangelo in the Vatican, Poussin, Titian and Raphael. In Rome Reynold's also met up with other fellow English artists as well a former student of Hudson, John Astley. Reynolds keenly studied at Raphael's School of Athens, and then went on to study in Bologna, Venice, Florence and finally Genoa before returning to England. 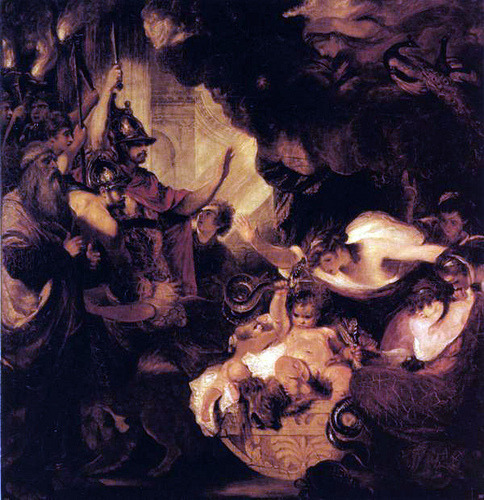 In 1752, after three years in Italy, Joshua Reynolds returned home. But, on his way home he encountered many figures that he would become well associated with in the future. He had travelled through France and had stayed briefly in Paris where he met his old master Hudson alone with the famous sculptor Roubiliac and the architect William Chambers, who would become one of the founding members of the Royal Academy. In October 1752 Reynolds returned to England and began experimenting with various props in his portraits such as The Portrait of Omai. Reynolds felt that British artists before him were too rigid in their style and approach to the sitter: that everyone was painted in the standard pose, and new life and aspects were not brought to the fore. He looked to break the norm of elegance that was so favored in British society. Reynolds had also taken on his first student, Guiseppe Marchi from Rome, whom Reynolds had brought with him to London. Guiseppe rarely left Reynolds' side and after returning to London from Wales he worked with Reynolds until his master's death. By the end of the 1750s, Reynolds success had allowed him to move houses again, this time to a more prominent estate with larger rooms at Leicester Fields. He established a large gallery in his new house where he would hold private exhibitions and entertain guests, and purchased a new coach with gilded finishing. In 1753, Reynolds and other artists decided to form the Royal Academy to define new aspects in British art but not everyone was happy about this new venture. Reynolds' works were also gaining more recognition around London and he ended up moving to a bigger house on Great Newport Street as numerous commissions started to pile up. Yet Reynolds also experienced some tough competition from an upcoming artist named Jean-Étienne Liotard, who was fast becoming popular amongst the circles that Reynolds associated with. Liotard painted directly from what he saw, rendering his images as realistic as possible as well as including their physical flaws. 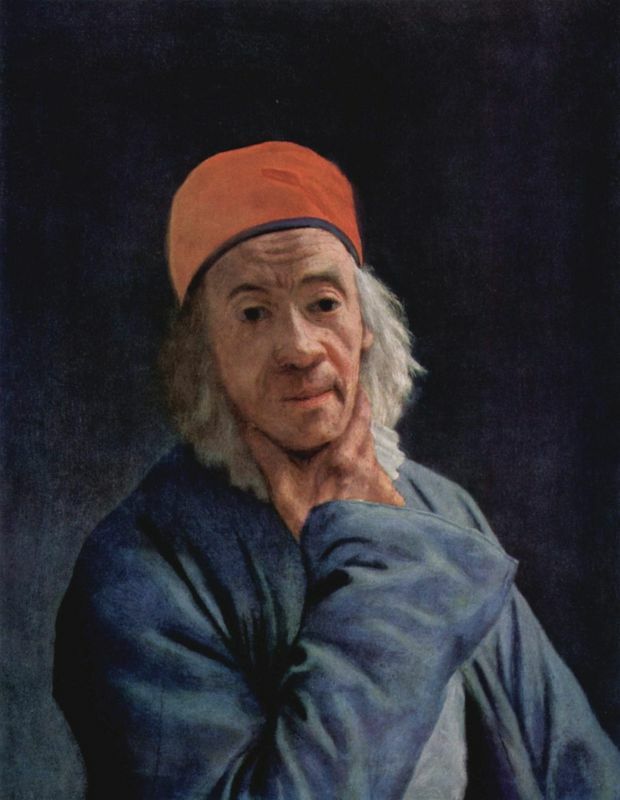 To this, the competitive Reynolds had commented on Liotard's work saying he was "no genius" and that "his pictures are just what ladies do when they paint for their amusement. " Reynolds preferred to get into the mind of his sitters and attempted to paint his sitter in such a way that accentuated their best attributes or contribution to society. Reynolds constantly conversed with his sitter as he looked for various hints of their personality to best define their character. This style was very much juxtaposed by Gainsborough, who would accentuate his sitter's natural aspects with an air of elegance. Reynolds gained much acclaim with his painting Cupid and Psyche and this new approach to painting well-known society figures in this manner caused a great buzz in London, making Reynolds an instant celebrity. Reynolds started socializing in upper-class circles and became friends with the well known actor, David Garrick. Along with his good friend Dr. Samuel Johnson, Reynolds formed the Literary Club. They gathered every Monday at a local tavern to discuss the latest advances and newest additions to the world of Arts and culture. Through Reynolds' social contacts in this club, he was given the perfect platform to air his literary thoughts and philosophies. In 1768, Reynolds was elected president of The Academy of Royal Arts and was knighted accordingly. 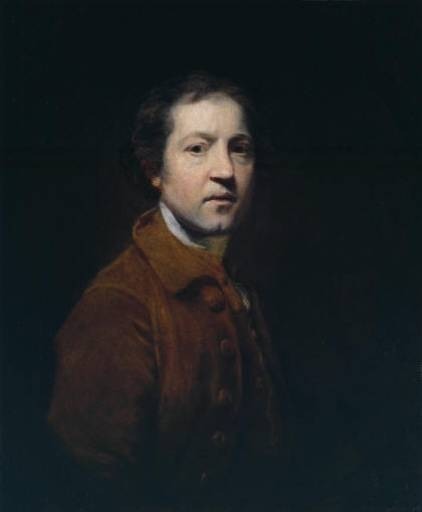 In his later life Joshua Reynolds lost sight in his left eye, forcing him to retire from his artistic career. It turned out that he had a tumor above his left eye and was treated repeatedly by numerous surgeons as the inflamed growth continued to cause the artist pain. Reynolds continued as president of the Royal Academy until the end of his life. He became depressed and did not participate as much at many of his social meetings. He died on the 23rd February 1792 at the age of 68. His autopsy showed that he had a swollen liver which was diseased as well. Reynolds' funeral was held at St. Paul's Cathedral, where his body was cremated and a statue was erected to commemorate him. 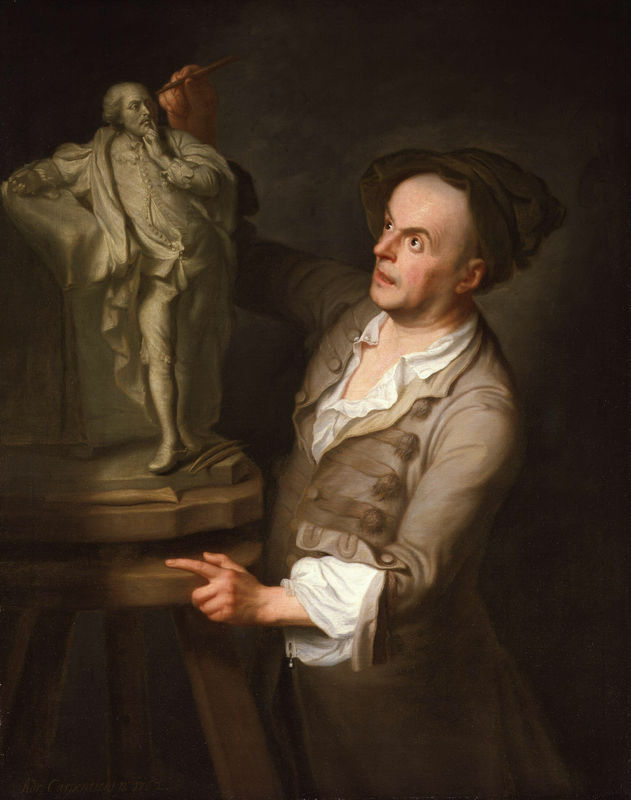 He had lived to become one of the most recognized artists, academics, and literary contributors of the 18th century, not to mention the mayor of Plympton in 1773. In his Will he left his property and most of his fortune to his niece. She continued to live alone in the large estate at Leicester Square until she died.